Click the HTTPS tab. Ensure the Decrypt HTTPS traffic checkbox is checked. 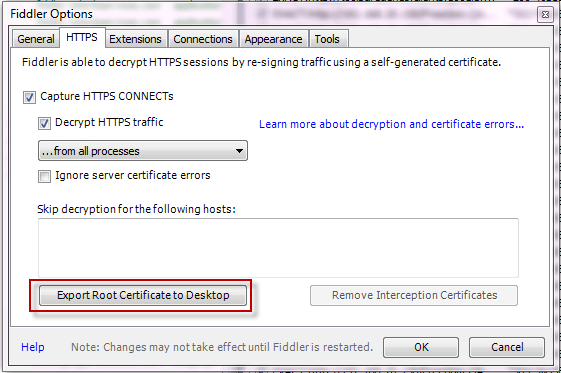 Click the Export Fiddler Root Certificate to Desktop button. 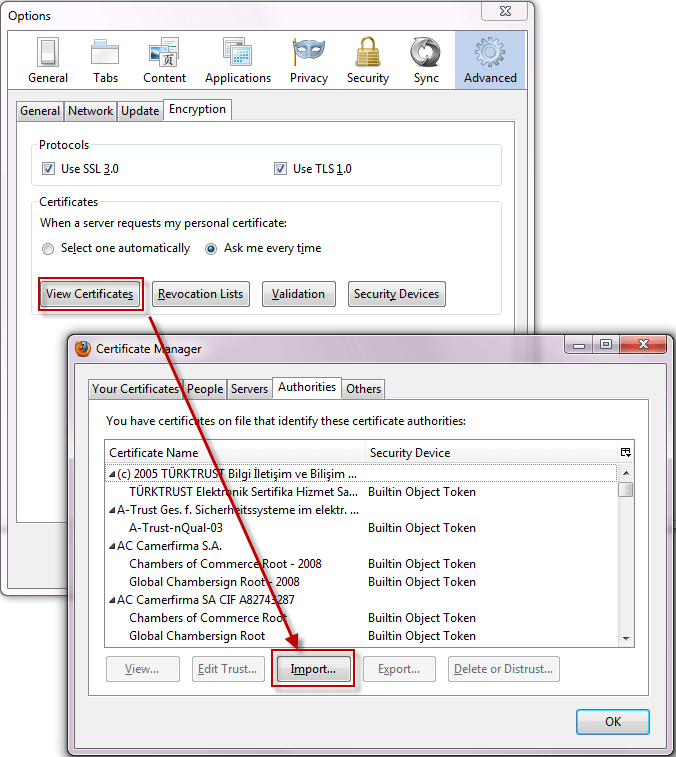 Click Tools > Options... > Advanced > Encryption > View Certificates > Authorities > Import. Select the FiddlerRoot.cer file from your desktop. 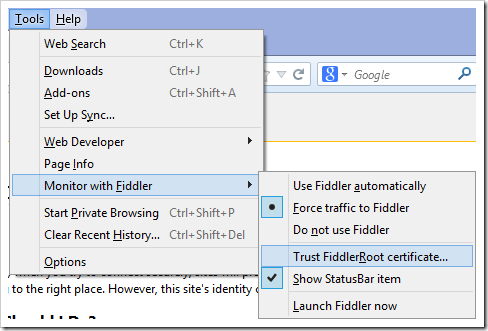 Click the checkbox next to Trust this CA to identify web sites.